For the majority of retired investors and retirees overall, taxes, trusts, and income are all critical issues. 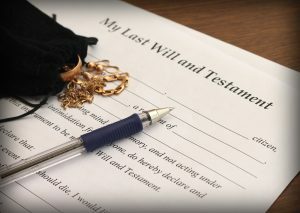 These may be seen as a necessary evil but it is important to reframe your thinking to consider that a trust as one example as nothing more than a legal document that empowers you to exercise control over the distribution of your estate. A trust is often exercised to take advantage of particular tax advantages while also addressing estate tax issues when your estate officially changes plans. Sadly, investors with a great deal of amassed wealth may have had as much as 50% of their estate lost to taxes when it is transferred to the beneficiaries. One of the most common mistakes made in this method has to do with the funding of a trust using boilerplate trust forms that you find online or from an advisor could increase the chances of a mistake that ultimately harms your beneficiaries. Since you are putting special care and consideration into your loved ones’ benefits and how they will be rewarded in your estate, you need to follow through on all aspects of properly funding the trust and establishing it to begin with. Scheduling a consultation with an experienced estate planning attorney can help you to accomplish all of these goals and to give you more peace of mind about your own future.